I have had the privilege of being involved in a MOPS group at our church. For those of you who are unfamiliar with the term, MOPS stands for Mothers of Preschoolers. Any mom-to-be, through mom of a kindergartener, is eligible to be a member. It's been an amazing support group throughout the past few years, for me. I love, love, love it! And if you have one in the area that you've never checked out before, you totally should! I'm serious! You don't have to be a member of the church, and really, you don't have to attend any church. It's just a great way to fellowship and meet other moms going through the same season of life. Who doesn't love visiting, eating and crafting?! 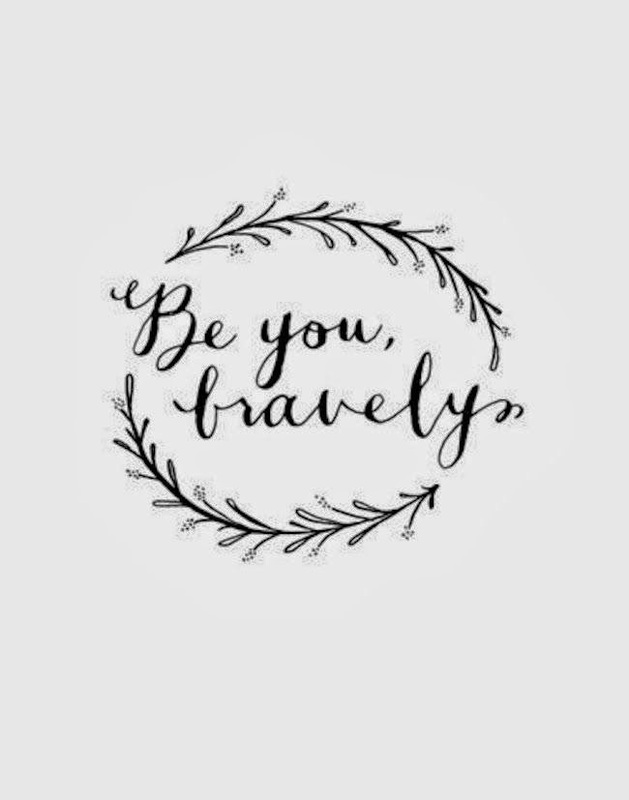 Anyway, our theme for the year is "Be You, Bravely". Awhile back, I did a post about being brave, as a mom. But, I want to take it a step further and talk about raising brave children. This is hard for me. Being brave for me personally, means taking risks and challenging myself in opportunities that I wouldn't normally do. Pushing myself beyond the limits and causing my heart to take a million more beats a minute. I do this, occasionally, and could probably stand to do this more. But raising brave children, is something almost outside of my comfort zone. In my experience, there are two very different types of parents and then a whole lot in the middle. On one end of the spectrum is the helicopter parent. They hover over their children on the playground, correct them at every opportunity, wipe their face as they are eating and chop food into a billion pieces, supervise all play and never let them out of sight. And quite the opposite, is the super lenient parent. They allow their kids to go on bike rides in the neighborhood with no supervision, read a book while their kids are at the playground, give whole grapes and uncut hotdogs to their toddlers and cheer their kids on as they are doing flips off the big toy. And there are all the parents of the world who are somewhere in the middle. And I happen to fall somewhere in that space. But being a helicopter or a lenient parent doesn't necessarily make our children that way. My biggest challenge is pushing my kids to do more and be more. To not always take the safe route. This is what is hardest for me. It's funny how much less brave I have become, the older I get. I used to absolutely love skiing. I skied most weekends, as a child. Now, the idea of taking my kids up and setting them loose on the slopes, is a scary thought! Even going camping in the mountains, or hiking, is a scary thought! Neither parent loves their child any more or less, but their level of trust that everything will be okay, falls at very different ends of the spectrum. Kids are a direct reflection of the parenting they've received. So, if I show my bravery, as a mom, my kids are more likely to make brave choices themselves. 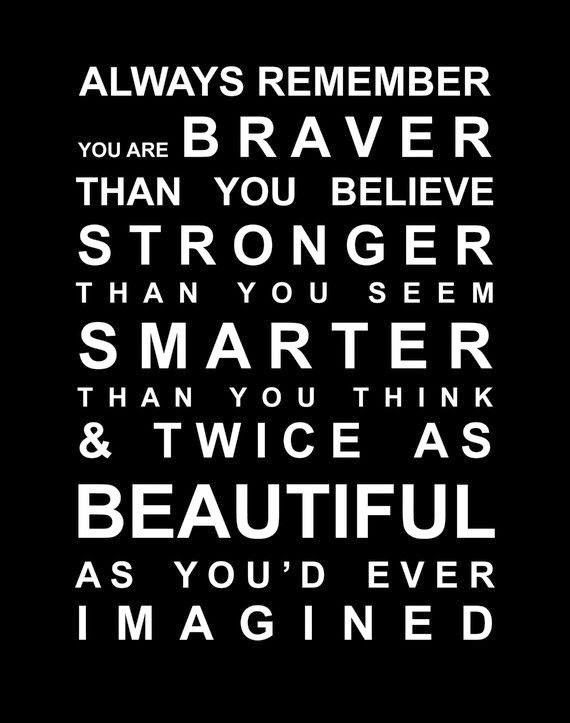 Eleanor Roosevelt said, "you should one thing each day that scares you." I'm making it a personal goal, to do this both for myself and my kids. We are going to be more adventurous and take more risks! I don't want my kids to live a boring, safe life. I want to climb trees, and go on hikes. I want to water ski and rock climb, to swim in the ocean and ride scary rides. And not just physical risks, but risks with their dreams! Starting this blog was a risk, for me. Putting myself out there and not knowing how it would be received....that was super scary! But it's amazing how good it feels to be successful when you've pushed yourself past the limit. Part of this bravery also means that I want my kids to know that it's okay to fail. Sometimes I think we are wrapped up in a safe life because it's easier not to let people down. When we take risks, we risk failure. I want my children to grow up knowing that the journey is more important than the destination. Life should not be easy. If it's easy, it's boring! Part of parenting is watching your child fail and then teaching them how to persevere through the failure, or to fight back. Through that failure, they are going to learn more lessons than they ever would have if they'd never tried. "Scared moms raise scared kids and brave moms raise brave kids"....one of the best quotes I heard in our MOPS group. My goal, as a mom, is to do things outside of my comfort zone. And right at the moment, where my motherly instinct kicks in and makes me want to intervene, I'll try and take a step back (unless it's a safety issue, of course). When kids are pushed to their limits, they learn about themselves and their body's abilities. I'm already brainstorming about our adventurous summer and I can't wait. It's a freeing feeling to let go. Will there be a few broken bones or scraped knees along the way? Probably. But the memories and fun we will create, will be well worth it. At least I hope! What does bravery mean to you and how do you display that to your kids? Do you consider yourself to be a brave mom? How do you work on that? Stopping over from the Thinking Out Loud link-up. I have heard so many good things about MOPS. I'm far from a brave Mom. Something to work on! I love your ideas for an adventurous summer. What a great post....I will definitely be thinking about what I might do to show bravery to my kids....I think defining what I think is brave might be the first step.